Zeus made Atlas hold the heavens after the Titans lost to the Olympians. This looks like a globe, right? That whole “world on your shoulders” mantra? From Atlas, right? Wrong. This is a celestial sphere, so, school your friends with that little piece of knowledge. The Farnese Atlas is the oldest sculpture of the Titan, and is a second-century Roman marble copy of a Greek original. 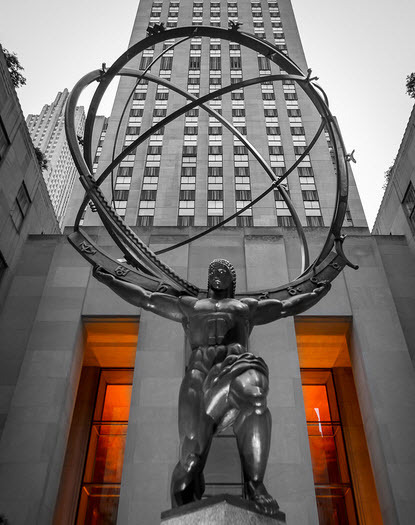 Go ahead and see another Atlas at Rockefeller Center. This Art Deco beauty was installed and unveiled in 1937. He’s 45 feet tall.